At the France Ireland Chamber of Commerce business lunch Tánaiste Simon Coveney TD comments focused specifically on Brexit and the importance of Ireland’s strengthening relationship with France. The Business Lunch was sponsored by Irish law firm and FICC Patron, LK Shields. Speakers at the event included French Ireland Chamber of Commerce President, Mathieu Gorge; H.E. 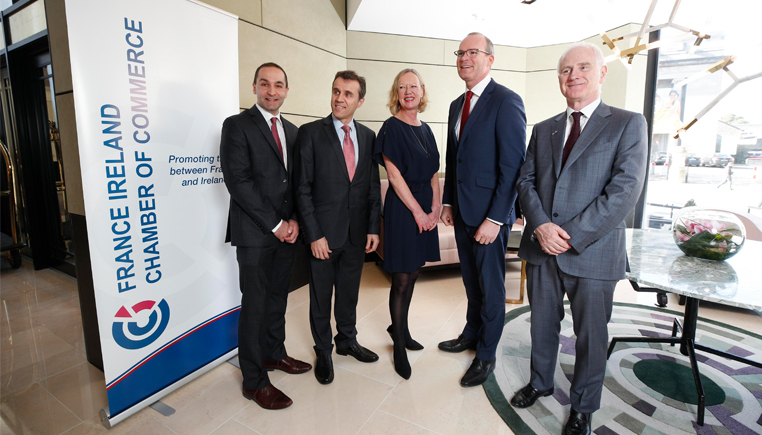 Stéphane Crouzat, Ambassador of France; France Ireland Chamber of Commerce, director, Cliona McGowan; guest speaker Tánaiste Simon Coveney and sponsor Gerry Halpenny, LK Shields.